When Los Angeles County voters see a measure on their November ballot asking them to approve higher sales taxes for transportation projects, they may well ask: what's in it for me? The answer depends on where the voter lives — and that, in a nutshell, is the challenge facing the Metropolitan Transportation Authority as it seeks to convince two-thirds of the electorate to approve the measure. It's a tall order in the biggest county in the nation. If the measure is adopted, county residents would pay a new half-cent sales tax and continue to pay an existing half-cent tax originally set to expire in 40 years. The proposed sales tax increase would raise over $120 billion and fund train lines, buses and and highways as part of a broad vision to reduce the region's dependence on cars and connect a divided, far-flung county lacking a comprehensive network of transportation systems. With about 10 million residents living in 88 cities and unincorporated areas, L.A. County is double the size of the next most populous county, Cook County, Illinois. A wide variety of communities characterize L.A. County, from dense urban areas to suburban housing divisions, beachside enclaves and rural ranch lands. "It’s just a colossal thing," said Raphael Sonenshein, executive director of the Pat Brown Institute for Public Affairs at California State University, Los Angeles. A map from L.A. County's Metro shows existing transportation projects and those that would be built with funds from a sales tax increase that will be voted on this November. Slide the white bar to see the changes. Forging any kind of political consensus in a county as sprawling as L.A., stretching from the northwest San Fernando Valley to the Port of Long Beach, is difficult, he said. To do it, Metro will need to perform an extraordinary balancing act by offering a broad range of projects that provides something for everyone, Sonenshein said. It’s a bit like trying to cater to a giant, unruly family: keeping track of so many competing relatives at once can sometimes leave someone behind. A broad coalition did come together in 2008 to pass Measure R, which funded the recently opened Gold and Expo Line sections. But an extension of that tax, known as Measure J, failed in 2012 by a thin margin – falling short mostly in communities on the edges of the county where investment in transit has been minimal. "The Valley dramatically got short-changed," said state Sen. Robert Hertzberg (D-18th District), who serves the San Fernando Valley and pushed Metro hard to make his area a higher priority with this year’s ballot measure. When an early draft of the proposal didn't include funding for his favored projects, Hertzberg held press conferences, took out full page ads in newspapers and sent out emails campaigning against it. "I went to war. It wasn’t gonna happen, I was not gonna support this," he said. The effort paid off. In June, when Metro released its final project list, it included plenty for the Valley: new bus service to California State University, Northridge; streamlined improvements to the Orange Line rapid bus; a new transit line along Van Nuys Boulevard; and a subway under the Sepulveda Pass. Hertzberg and a coalition of San Fernando Valley politicians and business groups recently announced their full support for the latest measure. But inevitably, when one community gets attention, another ends up feeling abandoned. For years, the Harbor Gateway Cities in the southeastern part of the county have pushed for a light rail connection between downtown L.A. and Artesia, traveling through densely populated, working-class Latino neighborhoods that rely heavily on public transit. Metro has included funding for the rail line in the ballot measure, but the line would not be completed for at least 25 years. "It’s a slap in the face for the Gateway Cities," said Huntington Park City Councilwoman Karina Macias. 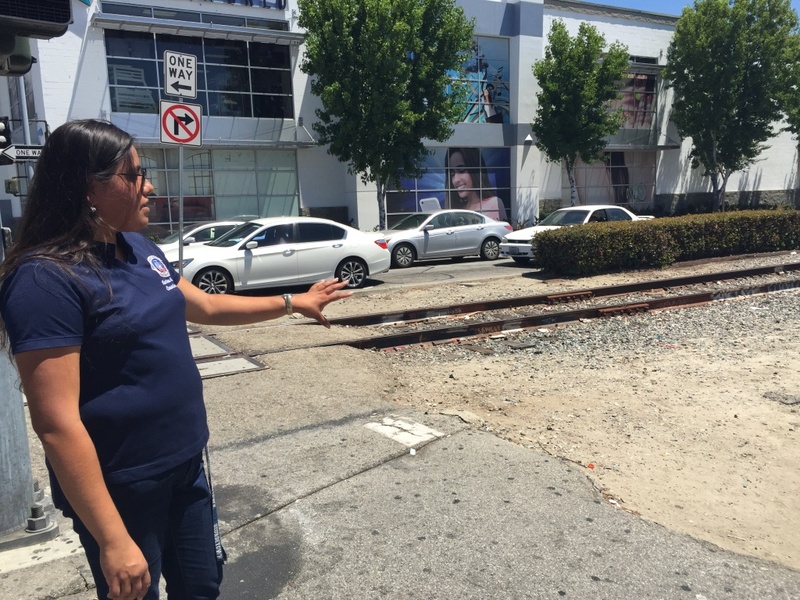 Huntington Park City Councilwoman Karina Macias points out the future site of a light rail station. Under Metro's ballot measure proposal, it would not be completed for at least 25 years. "I don’t know if I will be alive or any of the majority of my residents are gonna be able to see that happen," she said of the rail line. "There’s no incentive for us to go out there and really tell our community, 'You know, vote for this and you’ll get something in return,' when in reality they’re not." Leaders throughout the Gateway Cities and the South Bay have publicly declared they will not support the measure if Metro does not move up the timetable for projects in their areas. Metro CEO Phil Washington said the agency made every effort to equally distribute projects through the county. "There is something in this plan for everyone," he said. "It's not perfect, and everybody's not getting their project in the first five years, simply because we're not collecting all the sales tax in the first five years." Washington points out officials spent years collaborating with local representatives to narrow down the projects, and ranked them based on factors like cost and impact on congestion. Each subregion was given a project or program within the first 15 years of the plan, he said. Metro hopes it can speed up many of the projects farther out on the timeline with additional funds from the federal government or private partnerships. But there’s no guarantee of that, especially with federal transportation funding on the wane. 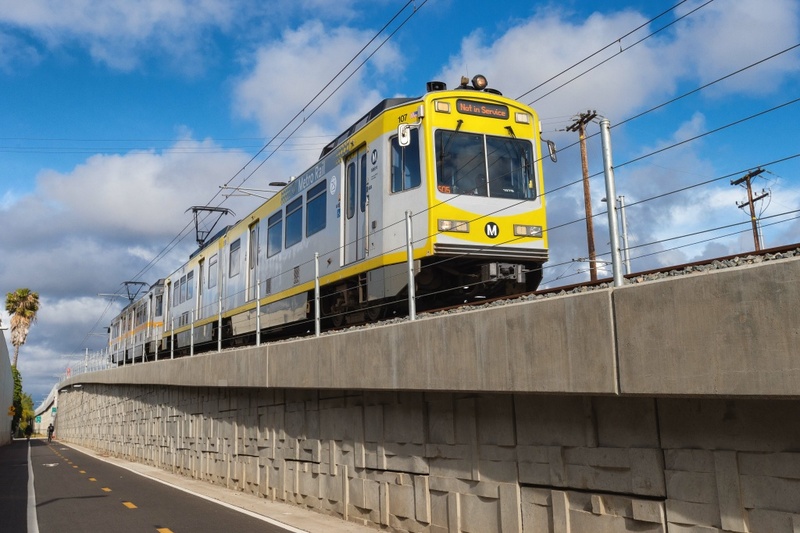 Cal State L.A.'s Sonenshein said the solution to the county’s fractured politics and division over transportation spending could lie in the question before voters. "I really do think that in the long run, if we did have mass transportation, that people in distant areas would feel more connected," he said. However, to reach that point, projects funded by the measure would need to be built and, to be built, voters would have to approve the additional taxes. Whether they do or not will remain an open question until the November election.